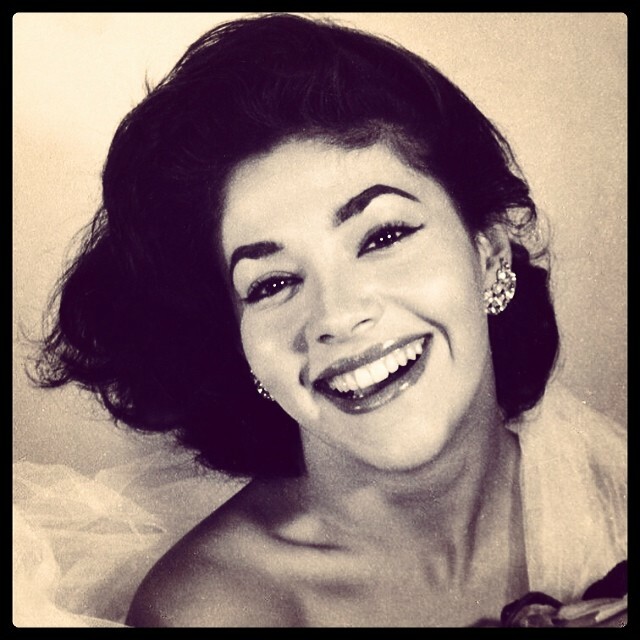 Her chin, and her belief that all men are shady. What I unfortunately did not inherit, is her ability to be ambidextrous. I say “imperfect”, because no at home manicure is ever going to be perfect (I don’t even think nail salon manicures are perfect … but that’s just me). The products I’m about to tell you guys about will give you a great, long lasting manicure. They’ve been my holy grail nail products for years, and using them have actually helped strengthen and grow my nails. 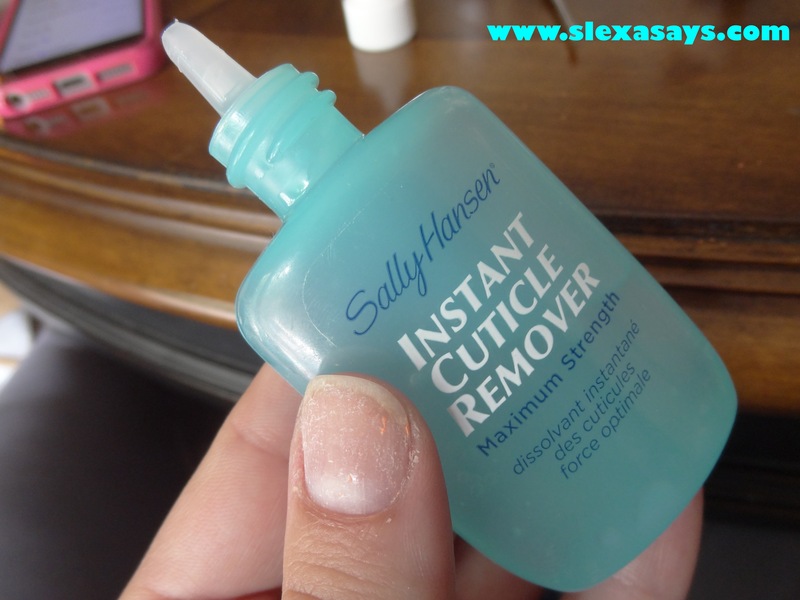 Apply The Sally Hansen Instant Cuticle Remover to your cuticles for 15 seconds. I love how easy and effective using this product is. I can’t imagine giving myself a manicure without it. It’s formulated with chamomile and aloe, and leaves my cuticles feeling soft and smooth. After 15 seconds is up, push back your cuticles. I use Revlon’s Stainless Steel Nail Groomer. I love that this tool is double ended with a cuticle pusher on one end, and a nail cleaner on the other. 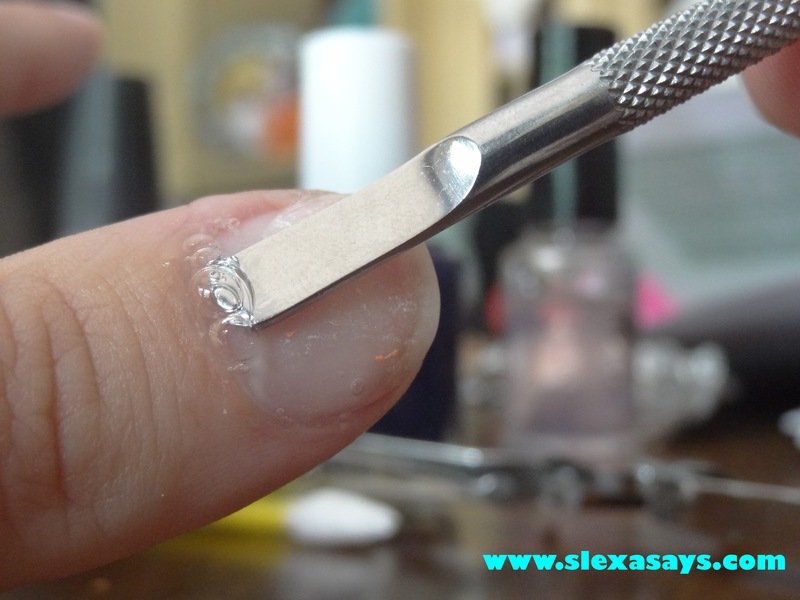 Clip off the excess cuticle skin around your nail bed. File your nails to your liking. I like for mine to be square shape, so I file them until I have achieved my desired look. Next I wash my hands and finger nails thoroughly, to prep them for polish! 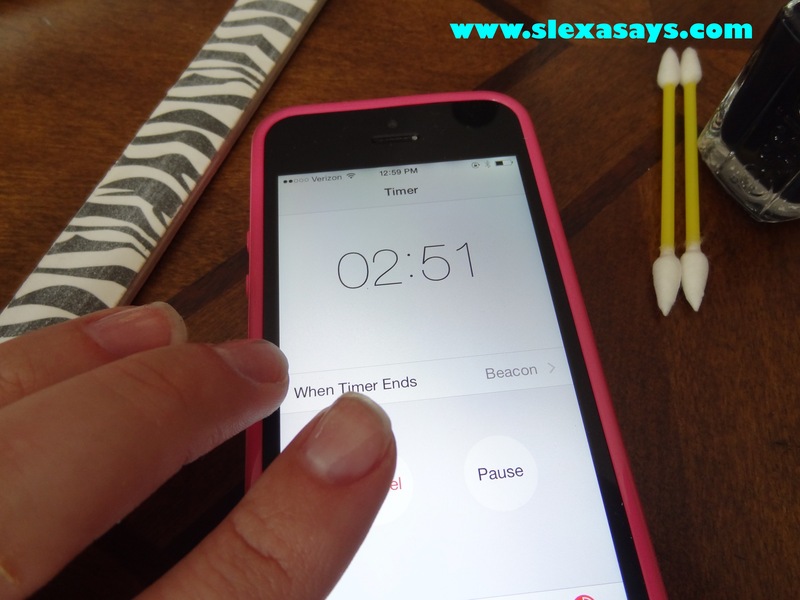 After applying the Nail-Aid Polish as my base coat, I set a timer on my phone for 3 minutes. This product is going to strengthen and protect your nails, while giving you the appearance of a gel manicure! I love wearing a dark nail year round. 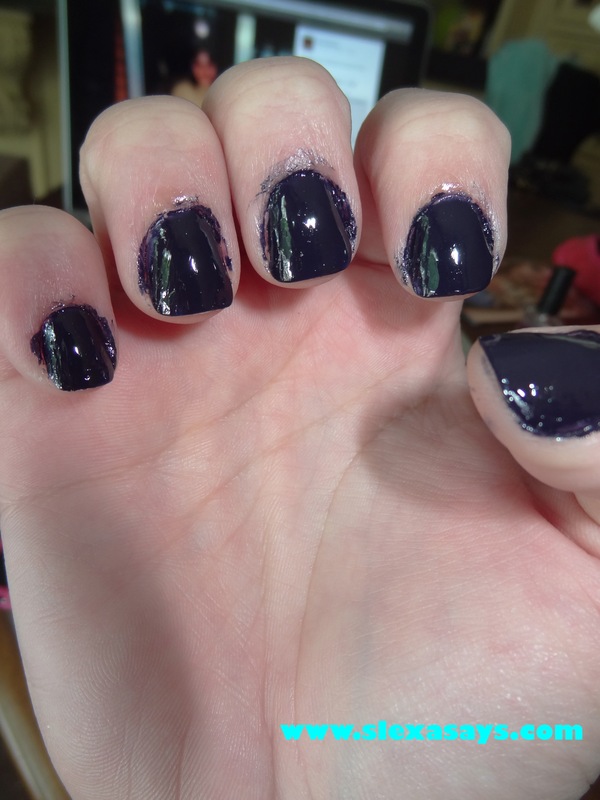 Today I’m using Essie’s “After School Boy Blazer” which is a really pretty blue-black shade! It’s one of my go-to favorite nail polishes. After applying my two coats of polish, I like to apply Nail Aid’s 3 Minute Artificials again, to ensure the longevity of my manicure. I’ve been using In A Hurry’s Air Dry Top Coat for years. The 3 Minute Artificials can act as your top coat, but I like to apply an additional layer of a polish with fast drying properties. Voila! You now have your very own imperfect manicure! When I follow these steps, I can usually go a good week without having to re-polish my nails. In my opinion, doing your nails at home is a cheaper, safer, and smarter way to get a manicure. Hope you guys enjoyed!